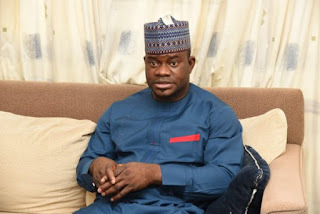 Former Minister of Aviation, Femi Fani-Kayode, has lashed out at Governor Yahaya Bello of Kogi State after herdsmen murdered 25 people on Thursday. Fani-Kayode, writing on his Twitter page, said he hoped Bello who is a “staunch supporter of Buhari, is clapping for himself”. He tweeted: “Fulani herdsmen killed 25 innocent people in Kogi state today and abducted 2 WAEC officials in Oyo state. “I sincerely hope that the Governor of Kogi state, who is a staunch supporter of Buhari, is clapping for himself. The herdsmen were said to have attacked two communities in Dekina local government area namely Oganienugwu and Ikende and also Abejukolo in Omala local government area, all in the Eastern Senatorial district of the state. Villagers were reportedly moving out of Obakume, Idirisu and Oji Apata to escape the rampaging Fulani herdsmen.